We've heard it said that not all superheroes wear capes. There's no doubt to this truth, and Batman himself seems to understand it better than anyone else out there. On National Superhero Day, the buzz about the Internet surrounds many of the iconic comic book characters that readers have grown to love over the years. Names like Superman, Captain America, Wonder Woman, Spider-Man, and many others cover the headlines on Superhero Day, but Ben Affleck turned everyone's attention to another group of people. On Twitter, the Batman actor gave a shout to the men and women he believes deserve to be recognized as the real heroes. The actor called out to the teachers, mothers, military families, veterans, and first responders, saying that the day should be taken to celebrate them. 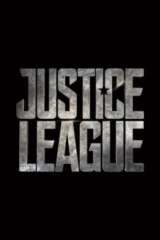 Ben Affleck's take on Batman will be seen next in Justice League, which is set to hit theaters on November 17, 2017.